Housing Solutions/South Shore Housing has provided development consulting services to a wide variety of community groups and local agencies. Helping the Baptist Home of Massachusetts construct Silver Lake Homes, a 50-unit elderly housing complex in Kingston financed through the HUD 202 program. Assisting Mid Cape Church Homes of Harwich in the expansion of their elderly housing complex to 38 units with financing from the Farmers Home Administration. Supporting Island Elderly Housing in obtaining Section 202 funding for 45 units on Martha’s Vineyard, completed in May 1994. Getting funding for the development of 21 units of family housing through the Farmers Home Administration’s Section 515 program in conjunction with the Nantucket Housing Authority. Helping Cape Community Housing Trust in their bid to acquire a 32-unit apartment complex owned by the Resolution Trust Corporation in the mid-1990s. Collaborating with the Brockton Interfaith Community in securing local funds to purchase lots, build new duplexes and resell eight condominiums. Supporting the creation of housing partnerships Middleborough and Carver, and working with Carver to rezone an area for multifamily housing. Collaborating with the Town of Carver on a foreclosure prevention loan and technical assistance program. Altogether, Housing Solutions has secured over $20 million in state, federal and private financing for its clients. Jack Hunter hardly needed more meetings on his schedule, but now he has monthly sessions of the Carver Local Housing Partnership and the Carver Housing Trust to add to his agenda. But Carver’s Town Planner* is happy to be busy helping the Town prepare to increase its supply of affordable housing. And he’s ecstatic to have technical assistance toward that goal from South Shore Housing’s/Housing Solutions’ John Hixson. While Jack has been working with an informal affordable housing committee for several years since he came to Carver from a similar position in Holyoke, he now has as tools several ordinances that John helped redraft providing resources and incentives for the development of affordable housing. Around the state local resistance to affordable housing gets a lot of play and press. However, quietly and methodically several towns are finding ways to expand affordable housing opportunities within their communities. In places like Carver, as well as Kingston, Halifax, Brockton, Taunton and Wareham, town officials rely on South Shore Housing/Housing Solutions as their affordable housing partners. In all, SSH has teamed up with local communities to develop over 600 affordable units. 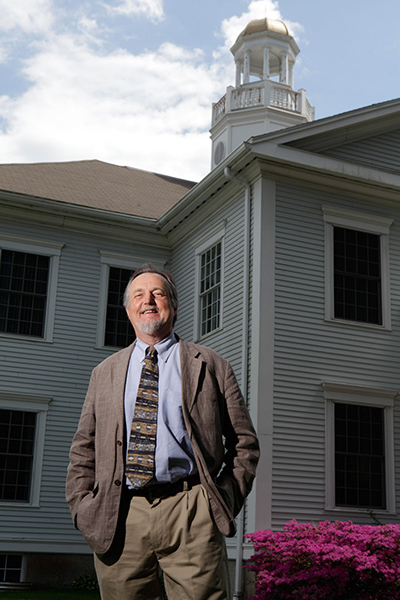 *Jack Hunter has since become the Town Planner for the Town of Hudson, MA.